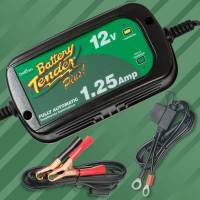 Battery Tender is the World's Most Advanced Fully Automatic Battery Charger for Longer Battery Life. Not legal for sale or use in California or Oregon. 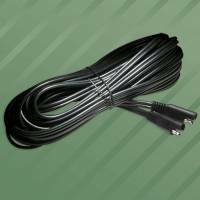 Battery Tender Quick Disconnect Extension Cord - 25 Ft. Pit Stop USA is The Online Motorsports Superstore! 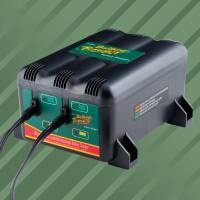 Battery TenderA is the World's Most Advanced Fully Automatic Battery Charger for Longer Battery Life, Dependability, and far Less Maintenance! Guaranteed! Why the Battery TenderA vs. conventional chargers? 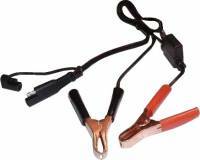 Avoid the potentially damaging effects caused by most trickle chargers! 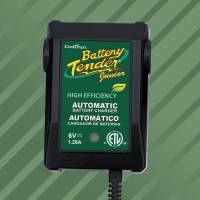 Battery TenderA BTP Microprocessor Technology and quick-connect convenience automatically maintains the batteries in all your vehicles so they are ready to go when you are! You just set it, and forget it! Battery TenderA assures the highest quality, fast-charging convenience and performance. 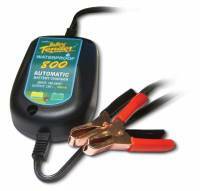 The choice of collectors, dealers, and fleet owners, our state-of-the art chargers can actually save hundreds of dollars in replacement batteries! Deltran Corporation has designed and manufactured transformers, power supplies, and battery chargers for over 41 years. 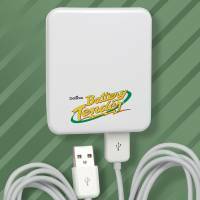 The Battery TenderA chargers are recognized as the most technologically advanced chargers on the market today. 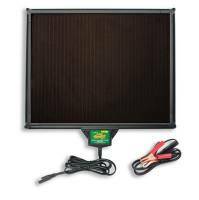 The Battery Tender product lines incorporate constant current, constant voltage, multi-step charging programs that include advanced absorption, equalization, and float maintenance functions. This ensures that your battery will be fully charged even after long-term storage. The name "Deltran" is synonymous with advanced technology, total quality, and uncompromised commitment to our valued customer. If you have to charge a battery correctly EVERY TIME trust Deltran Battery TenderAathey have already figured how to do it! 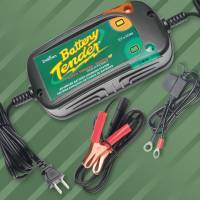 The Battery TenderA product line includes the Battery Tender Twin, Battery Tender Plus, Battery Tender Jr., Power Tender Plus, Waterproof 800, Power Tender International, 4-Bank Charger, 2-Bank Charger, High-Frequency Charger, DVD/DVS Chargers, Shop Chargers and Battery Tender Accessories. 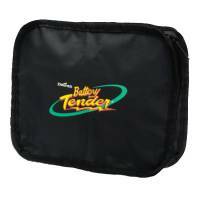 We feature Battery TenderA products at low everyday prices!